Recently we heard from a 2011 Miami Ad School – Miami grad and a useful product she is creating. Three years ago while on Quarter Away in San Francisco she, with her partner Daniel Garcia, was in a class that concepted new products. They came up with a piece of GPS enabled luggage to track when it was lost. She added it to her portfolio and finished up her time at Miami Ad School. The idea always stuck with her though. She wanted to help people keep track of their belongings of all shapes, sizes and forms. “I realized it would be better to make a tiny, portable piece rather than one inside luggage, because I don’t know how to make luggage.” she said with a laugh. This sparked the idea for Lapa. In 2012, Mariana moved to London. When she started at Ogilvy, where she is a Digital Creative, she teamed up with four newly found Portuguese friends to make Lapa a reality. 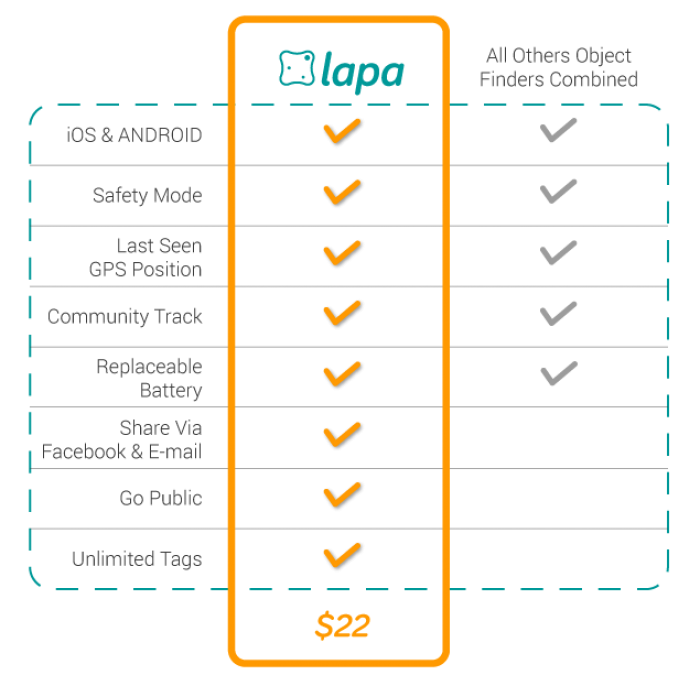 With her idea and their talent in technology and design (within the group there are two computer science engineers and two architects) they have created a “social lost and found.” Lapa can stick (and re stick) to items or connect with a string. 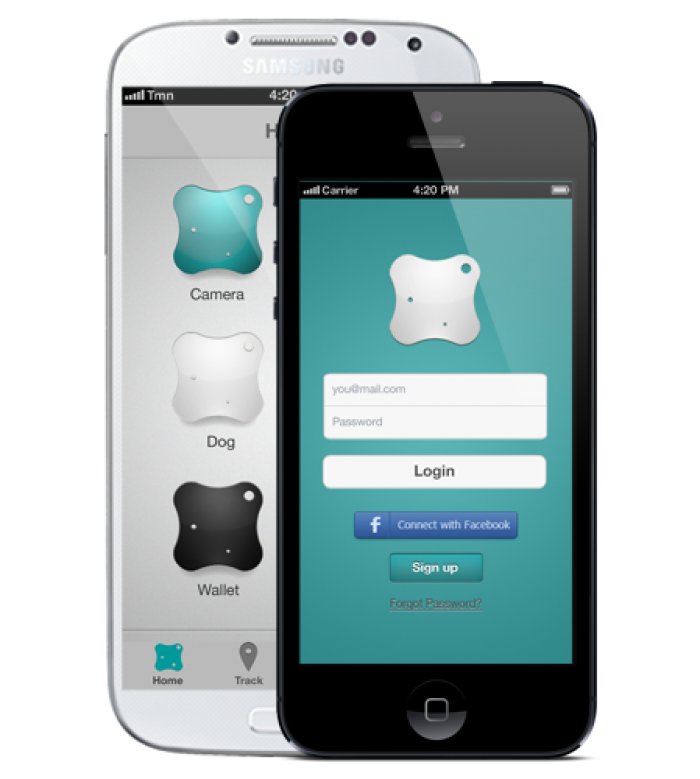 It beeps so you can find your keys, shows your pets location on a map or can alert you if your kids leave your side. Alerts can go out via Facebook and email and your friends will be alerted when you need help finding an item creating a more collaborative, supportive society.